11 Simple Tips on How to Tackle Textbooks for College or University With More Focus and Comprehension - and Without Putting You to Sleep! Here are 11 simple tips on how to tackle the textbooks for College or University. These rules should give everyone a good overview on how to best use the time spent reading textbooks. These 11 tips are based on the advice of many masters that I have read throughout the years and are all things that I have both taught and asked students to dedicate themselves to at speed reading courses and if you use them you will find that your mind will stop wandering when you're reading – and the textbook won't put you to sleep. Your focus and understanding of what you are reading will change – the reason is simple – you are now reading with a clear goal in mind. You are looking for answers. You are no longer reading your textbook in the same way you read a novel – from the first page to the last. 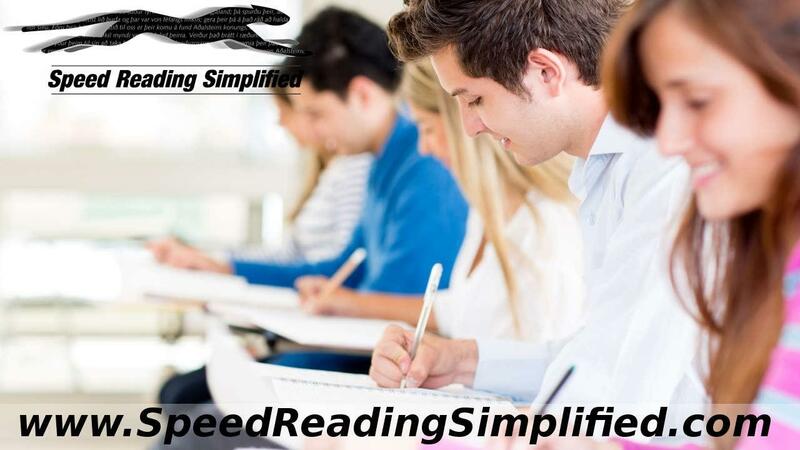 Can Everyone Read Faster Then They Do Today? Why can everyone - and I do mean EVERYONE - read faster than they do today? Find out how - today! How can this Bad Reading Habit hold you back? 11 Simple Tips on How You Can Read a Lot More Novels & Fiction! Reading is a skill to be mastered.